Philippine President Rodrigo Duterte landed in Israel on Sunday as part of a regional tour including Jordan, as he pursues a pivot away from his nation's long-time reliance on American military hardware and support. 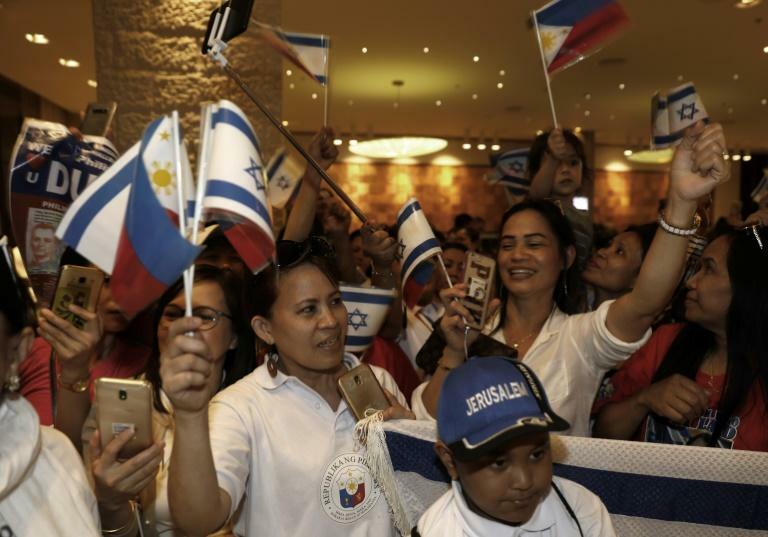 The four-day visit to Israel will be the first by a Philippine leader in more than 60 years of diplomatic ties between the two nations, even though their links go back to Manila's sheltering of Jews during the Holocaust. Duterte, accompanied by an entourage including soldiers and police, was welcomed at Ben Gurion airport near Tel Aviv by Israeli Communications Minister Ayoob Kara. He then headed to Jerusalem, where he will hold an event with some of the thousands of Filipino migrant workers in Israel. On Monday, Duterte will meet with Prime Minister Benjamin Netanyahu and sign agreements before heading to the Yad Vashem Holocaust memorial. He will meet with President Reuven Rivlin on Tuesday and on Wednesday inaugurate a memorial near Tel Aviv commemorating the Philippines' acceptance of 1,300 Jews fleeing the Holocaust. "We assign great importance to this visit, which symbolises the strong, warm ties between our ‎two peoples," Israel's foreign ministry said in a statement. Duterte has pivoted the Philippines away from its former colonial master the United States and towards warmer diplomatic and business ties with China and Russia. The US and Canada have both seen military hardware deals fall apart with the Philippines due to concerns over Duterte's drug war. But so far deals with Israel have gone smoothly. 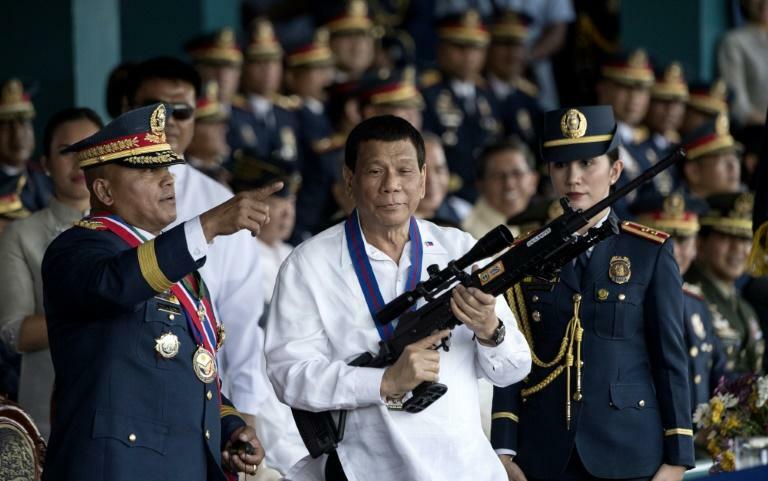 "(The visit) is for President Duterte to look for an alternative market for... weapons for our armed forces as well as for the police," Henelito Sevilla, an international relations expert at the University of the Philippines, told AFP. Israel is among the world's top arms dealers, with nearly 60 percent of its defence exports going to the Asia-Pacific region, according to Israeli defence ministry data. The Philippines emerged as a significant new customer in 2017, with sales of radar and anti-tank equipment worth $21 million. Manila says the trip is expected to yield agreements on defence as well as labour, which is one of the Philippines' top exports. Some 10 million Filipinos work abroad and send home money that is a lifeline for the economy. Manila is keen to sign agreements on protections for the workers. Duterte's visit has generated much attention, over his penchant for foul-mouthed statements, his internationally condemned drug crackdown that has killed thousands, and comments in 2016 likening himself to Adolf Hitler. "Hitler massacred three million Jews. Now there are three million drug addicts (in the Philippines). I'd be happy to slaughter them," he said. Most mainstream historians say six million Jews died in the Holocaust. Duterte later apologised for his remarks, which he said were aimed at critics who had likened him to the Nazi leader. Just over a year later, the Philippines abstained in a United Nations vote rebuking the United States for its deeply controversial recognition of Jerusalem as capital of Israel. Duterte on Sunday expressed support for a two-state solution to the Israeli-Palestinian conflict. "We shall be guided by our constitution and laws as well as our international commitments in support of efforts and initiatives including the two-state solution," he told reporters. Netanyahu says he wants the Palestinians to govern themselves, but has recently declined to specify whether that would mean an independent Palestinian state or some diluted form of autonomy as advocated by many right-wing Israelis.